India's largest dairy player, Gujarat Co-operative Milk Marketing Federation (GCMMF), popularly known as Amul, has issued a legal notice to Google India Pvt Ltd and goDaddy.com over fake B2B campaigns from which the latter benefitted. According to Amul, both Google India and goDaddy.com were being held accountable for misuse of their platform for earning revenues through advertisements (subscription in the case of goDaddy.com) on their platform on fake campaigns that duped innocent individuals seeking Amul franchise across India. "A series of fake B2B campaigns regarding Amul Parlors, Distributors have started through fake websites using Google Search ads since September 2018. These individuals/organizations are having malicious intent of exploiting individuals across India with fake promises of business opportunity with Amul. Many Indians across the geography of India and age group have been robbed of their hard earned money. These miscreants have been running paid advertisement on Google Search engine against keywords such as Amul Franchisee, Amul Parlor, and Amul Distributor among many others," the dairy player said in an official communique. Upon opening these fake websites, individuals were required to fill forms, post which they received calls from unknown numbers to pay registration fees ranging from Rs 25,000 to Rs 5 lakhs via NEFT in various bank accounts. Post receipt of the payment, the interest individuals stop receiving all forms of communication from these miscreants. While seeking Google's help to prevent innocent individuals from getting duped, Amul had even submitted all legal documents pertaining to their copyright over the brand Amul and various brand names of it products to the tech major. "This was done under the guidance of Google India team, to prevent any miscreant from using ‘Amul’ keyword-based ads on the Google Search engine.Amul ran promoted ads on Google Search to educate customers against such fake campaign and had a dedicated page talking about it http://amul.com/m/amul-parlours-fake-websites," Amul stated. An emailed query has been sent to Google. Further, Amul had even raised a complaint with the Cyber Cell of Gujarat Police in Ahmedabad and complained to the website domain portals from where these fake website domains were being purchased. However, while Amul continued to flag the issue with Google India, seeking its help to stop such miscreants from using the search engine's platform through paid advertisements, the cases kept rising. It was only on January 10, 2019 that Amul sent legal notice to Google India. 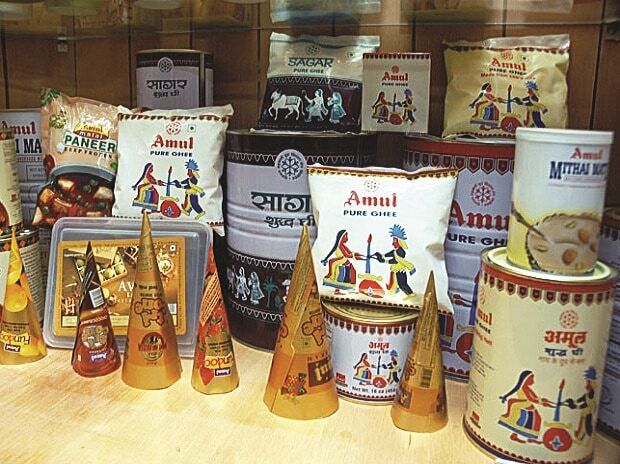 "For the last 4 months, the sales team of Amul have been meeting innocent individuals who have been duped of various hefty amounts and guiding them to file FIRs and take other legal steps. However, the most imperative step that Amul feels is to prevent the usage of platforms such as Google Search results for such nefarious activities. It has been observed, Google Ads platform is allowing such miscreants to use its paid promotion services repeatedly without any background checks and in the process earning revenues from the click-based advertising on their page," Amul further stated.